Interviews with celebrities and influencers will be live streamed in 360 degrees to at least 13 channels at a time. 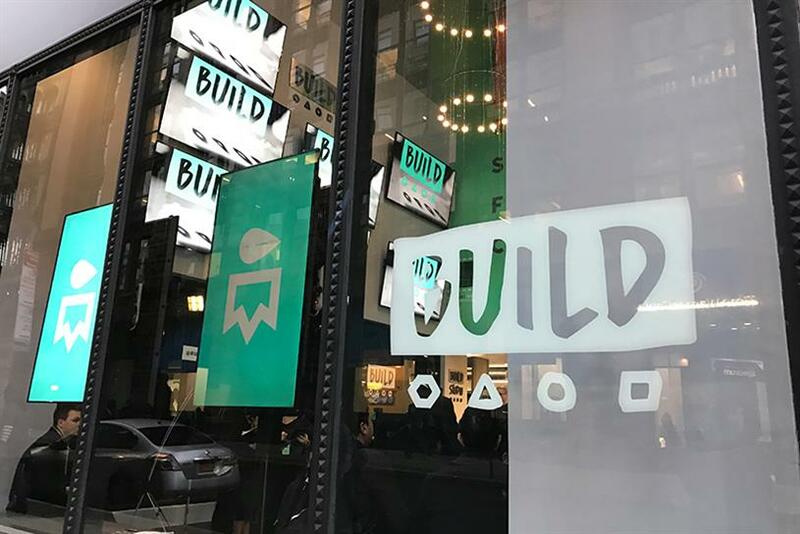 On Thursday, Jan. 12, a day New York City Mayor Bill de Blasio has proclaimed AOL Build Studio Day, the media giant opened a new studio dedicated to live streaming in downtown Manhattan. Called Build, the studio will produce more than 75 live events every month, connecting fans with celebrities, influencers and creators like Neil Patrick Harris, Matthew McConaughey, Elton John and BuzzFeed’s The Try Guys. According to Tim Armstrong, CEO and chairman of AOL, it’s the world’s first studio dedicated to live video. "There’s nothing more meaningful for us than to bring the capital of media and entertainment out to the world," said Armstrong, speaking on opening night. "The world's best talent and brands now have a place where digital meets physical." Where the studio really distinguishes itself is that, unlike other live streamed content, anything produced by AOL’s in-house team at the Build Studio will be available on at least 13 different platforms at one time. This includes online, the Build Series app, Apple TV, podcasts in the iTunes store, Sony Playstation and Facebook Live, said Suzanne Lindbergh, the executive producer and mastermind behind the Build project. "We want to make sure we are reaching our audiences in the easiest way possible," said Lindbergh. To do this, the studio is equipped with multisource broadcast fiber transmission, multilocation acquisition, audio-mastering and broadcast technology. The stage is also meant to easily transform into any configuration necessary, even if that means fitting an 11-piece band. The space is designed to be intimate. It can fit around 35 people, while another floor has more room to look down at the events. A basement floor will act as a host to parties and also has live stream capabilities to work in conjunction with what is showing above. The location of the studio itself—on the corner of Broadway and East Fourth Street—is also strategic. The location (the first the team looked at) positions them right next to NYU in downtown Manhattan. According to Lindbergh, Build has already begun outreach to students at the university as well as at The New School to gauge their interest. Moving forward, AOL, which reaches 600 million people a month, is planning on partnering with other brands to bring advertising onto the screens set all around the space as well as for the live programming.